Photo of the Week. 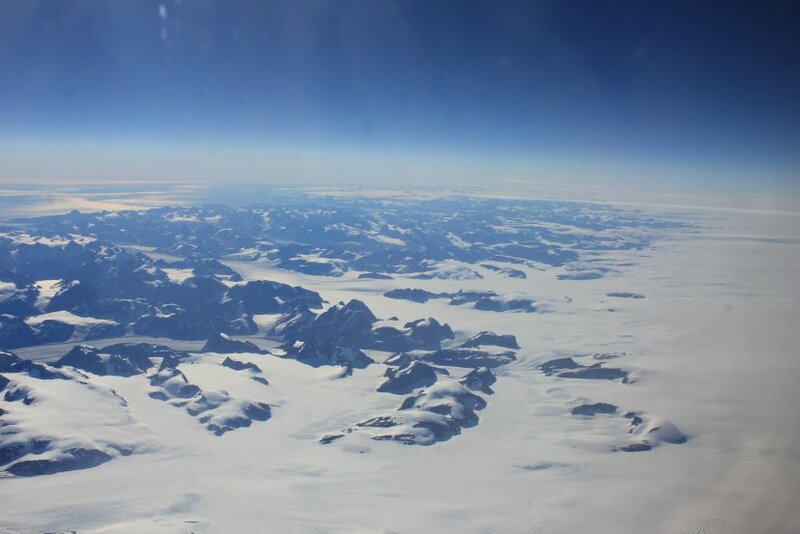 Planet Earth: the eleventh of twelve in the "Flight across Greenland," going from east to west above the fantastic glacier and a river of ice. See full resolution. Astronomy news for the week starting Friday, April 25, 2014. There's not much going on this week unless you like watching stars and planets move gracefully across the sky. Or unless you live in Australia or Antarctica, but more about that later. 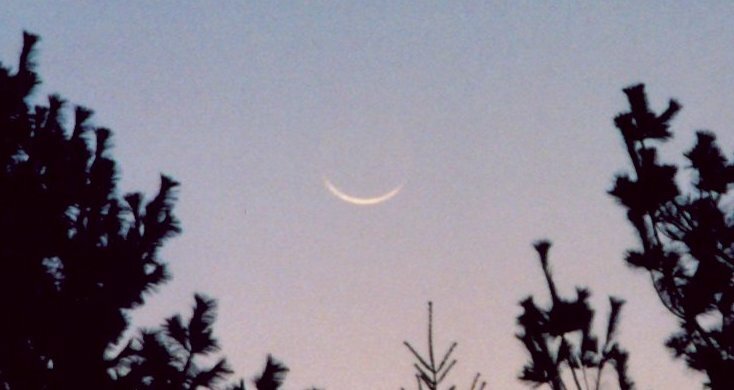 There is, however, always the friendly Moon, which at the beginning of our week is in its late waning crescent phase. The morning of Saturday, April 26, look for it rather well to the left of Venus. You might still spot it in morning twilight the next day. Then it passes through new Moon, though not quite invisibly, as on the morning of April 29, Greenwich Time, the orbiting Moon will eclipse the Sun. But don't make plans to see it happen, as it's visible as a partial eclipse only in the aforesaid far southern climes of the Earth. The eclipse is a bit of a curiosity, though, for an unusually brief annular phase (with the Moon too far from the Earth to cover the Sun completely, which leaves a ring of sunlight) that is seen for just six minutes in Antarctica. Back home, with a good horizon, you can catch the waxing crescent Moon in western twilight the evening of Thursday, May 1, when it will be passing above Aldebaran in Taurus, the star hard to see. May 1, May Day (actually May Eve), is an astronomical holiday, a "cross-quarter day" that marks the halfway point from the start of spring to the beginning of astronomical summer, which begins this year on June 21. Leaving the Sun and Moon, it's on to the planets, the usual four, as Mercury is completely out of it, passing superior conjunction with the Sun on Friday the 25th. In western skies as darkness falls, Jupiter passes something of a divide by setting at local midnight (1 AM Daylight Time). Hard to miss among the stars of Gemini, Jupiter is the brightest thing in the evening sky. But then there is Mars, which is about a magnitude fainter. Up in southeastern skies in early evening, the red planet lies well to the northwest of Spica (the two showing off a nice color contrast, Mars reddish, Spica blue-white) and to the southeast of Porrima (Gamma Virginis). It crosses the meridian to the south around 11:30 PM Daylight Time and does not set until morning twilight. Further to the southeast, find Saturn. Rising in evening twilight, the ringed planet crosses to the south around 2 AM amidst the stars of Libra to the east of Zubenelgenubi (everyone's favorite star name, which means "the southern claw" of Scorpius). Venus finishes the parade by rising just as twilight begins to brighten the sky. To the southwest of Saturn, find the stars of great Centaurus, the Centaur, one of the brighter and larger constellations. For northerners, much of it is below the southern horizon. Its sights include the huge globular cluster Omega Centauri and the closest star to the Sun, Rigil Kentaurus (the foot of the Centaur), better known as Alpha Centauri. Directly below Libra prowls Lupus, the Wolf, while to the southeast of the Scales lurks Scorpius, the Scorpion of the southern Zodiac.